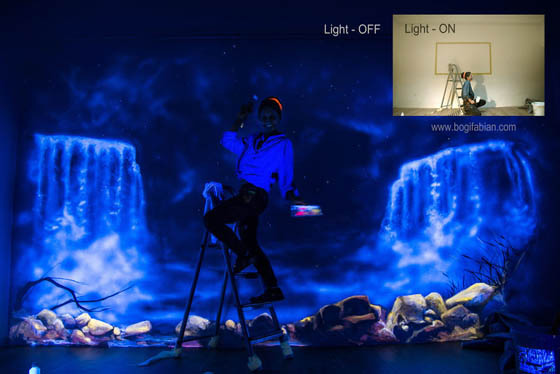 Using glowing UV paint, Vienna-based artist Bogi Fabian create gorgeous, luminescent murals that can only be seen under a black light. 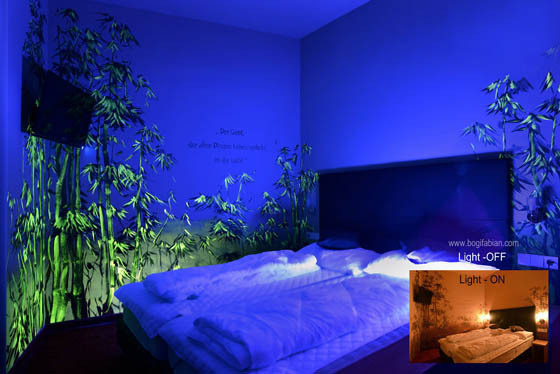 When the black light is off, the bedrooms looks completely normal. 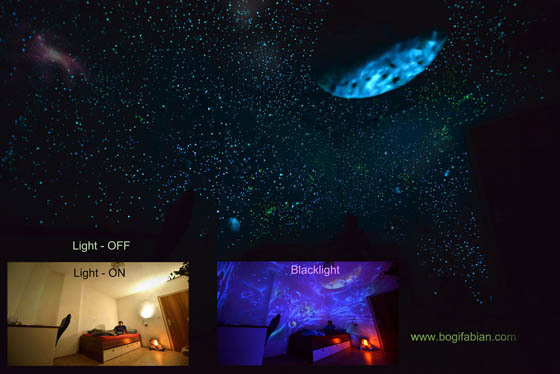 But as long as the light is flipped on, blank bedroom walls are suddenly covered with cosmic scenes, glittering stars, beautiful landscapes, and lush flora and fauna that emit an ethereal radiance in the darkness. 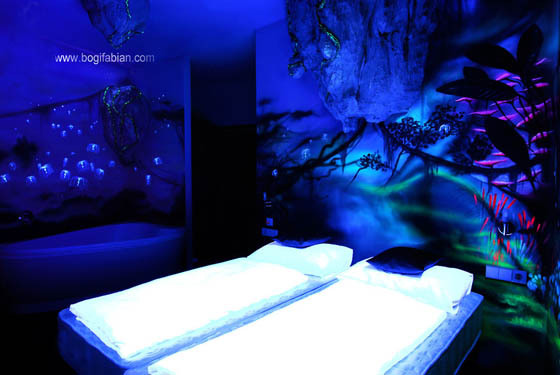 Many of Fabian’s creations reveal themselves in three kinds of light. 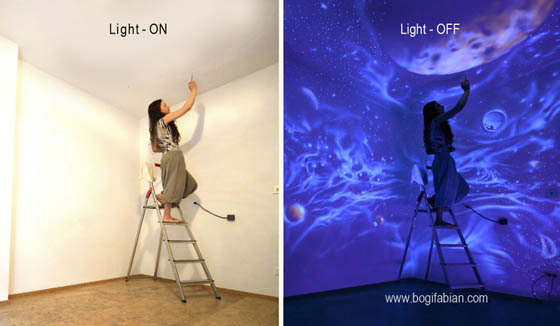 A conventional mural can be seen in daylight; a glowing mural only with UV light; and phosphorescent paint reveals itself when the lights are completely off. 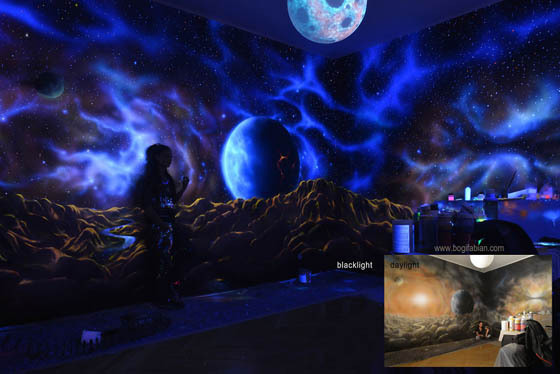 When asked the idea behind these glowing murals, Fabian said, “I am trying to create dreamful atmospheres. My goal is to create unique spaces and rooms giving them an identity and a soul, where relaxing and living become an experience.